Antoine Griezmann's strike eight minutes from time earned 10-man Atletico Madrid a 1-1 draw against Arsenal in the Europa League semi-final first leg at the Emirates. Alexandre Lacazette's third goal in as many games in the competition gave Arsene Wenger's side the lead after Sime Vrsaljko had been sent off, but poor defending allowed Griezmann to score a vital away goal on the counter-attack. Atletico, who also had manager Diego Simeone sent to the stands moments after Vrsaljko's dismissal, will be strong favourites to reach the final heading into the second leg at the Wanda Metropolitano next Thursday. 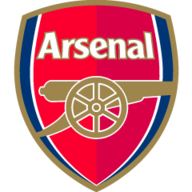 Arsenal, who dominated the ball throughout the evening, came close to recovering from Griezmann's late intervention but Jan Oblak sprung to his right to dramatically keep out Aaron Ramsey's header. Arsenal: Ospina (6), Bellerin (7), Monreal (6), Koscielny (5), Mustafi (6), Wilshere (7), Xhaka (6), Ozil (6), Ramsey (7), Welbeck (7), Lacazette (7). 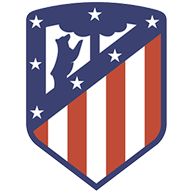 Atletico Madrid: Oblak (7), Vrsaljiko (3), Gimenez (7), Godin (8), Lucas (7), Correa (6), Saul (6), Partey (6), Koke (6), Gameiro (5), Griezmann (7). Arsenal made much the brighter start in what was Wenger's final European home game and the hosts should have been ahead inside six minutes when Lacazette was picked out by Danny Welbeck, but the Frenchman volleyed wide and Oblak made a point-blank save from the striker's header moments later. Atletico were reduced to 10 men when Vrsaljko - already on a booking for a foul on Jack Wilshere after 75 seconds - was shown his second caution for catching Lacazette on the ankle. With Simeone ushered to the stands after protesting that Hector Bellerin should have been booked, the Gunners were denied again as Oblak spread his legs to thwart Welbeck before Griezmann fired two warning signs in quick succession. Arsenal welcomed back Mesut Ozil and Jack Wilshere to the starting line-up. Mohamed Elneny was ruled out with an ankle injury while Alex Iwobi dropped to the bench. Atletico Madrid made five changes to the side that drew 0-0 against Real Betis. Sime Vrsaljko, Diego Godin, Koke, Antoine Griezmann and Kevin Gameiro returned. Juanfran, Stefan Savic, Gabi, Fernando Torres and Vitolo made way. The lethal Frenchman, who has now scored 14 goals in his last 14 games, forced David Ospina into two smart saves but an eventful first 45 minutes came to an end goalless. The second period was a much tighter affair, with Atletico defending resolutely until Lacazette found the breakthrough on the hour-mark from Wilshere's deep hanging cross. The former Lyon striker rose above Lucas at the far post to head into the ground and past Oblak after Wilshere reached the byline following a swift give-and-go with Ramsey. Arsenal hoped that would be the start of the floodgates opening, but Atletico stood firm as Lacazette's header from Mesut Ozil's corner flew past the far post, before the Gunners were punished for their profligacy. Laurent Koscielny failed to deal with a long ball and Griezmann pounced on the mistake, first denied by Ospina but able to dink the ball over the grounded Shkodran Mustafi on the rebound to score the all-important away goal. Arsene Wenger: "It's not about blaming individuals. The whole team is very disappointed and down. We created the anti-climax by giving a goal away. I was focused on doing absolutely everything to win the game. "We played the favourites out of the four teams left, and I thought we started well with good pace and good collective drive. The whole thing went wrong in the end, but I don't have much time to get rest." Diego Simeone: "It's tough to know what to say. The ref decided to send off Vrsaljko and I thought an Arsenal player should have got a booking. When I protested he sent me off. "To be honest it was 90 minutes in which my body was full of strong emotions, these players are basically heroes. "They stood firm, after a long season, for 80 minutes in a tremendous way. I have goosebumps thinking about the next match." Arsenal let their opponents escape with an unlikely away goal and without a deficit to make up in Madrid and while the hosts showed a lack of nous, Atletico had it in abundance thanks to their defensive stalwart Diego Godin. The experienced centre-back will be confident of reaching the final now having marshalled a defence to clean sheets in each of their last 11 home games, and after seeing team-mate Vrsaljiko dismissed early, Arsenal were reduced to few chances in the second half. Godin helped rearrange the back-line following that early setback, and while the Spanish side rode their luck at times, it was another vintage, resolute performance from the veteran Uruguayan. Arsenal have lost just one of their eight semi-final first legs in European competition (W4 D3), while they've progressed from the tie on every previous occasion they've avoided a first leg defeat. Atlético have lost just two of their last nine semi-final games in European competition (W5 D2), while Diego Simeone is yet to lose a European away game in England while in charge of the club (W1 D3). Since the start of last season, Alexandre Lacazette has scored 53 goals in all competitions; the joint-most of any Frenchman in the Top 5 European Leagues (alongside Antoine Griezmann). Lacazette has scored three goals in three semi-final appearances in the Europa League - only Falcao (7) and Kevin Gameiro (4) have scored more at this stage of the competition. Sime Vrsaljko's second yellow card after nine minutes and nine seconds was the earliest awarded to a player in Europa League history. Arsenal travel to take on Manchester United on Super Sunday, live on Sky Sports Premier League and Sky Sports Main Event. Atletico Madrid return to La Liga action on Sunday against Alaves, live on Sky Sports Football.